Over time, the concept of culture has transformed into a more inclusive concept. Although biological evolution may have originally resulted in culture, research suggests that culture is not only a supplement to evolution, but can also influence it. Ultimately, the category of “culture” is, like all classifications, an artificial distinction. The fact that all human beings have cultures must, at some level, be a consequence of human evolution. However, evolution cannot be used as a way of distinguishing between different cultures, as this is a form of, or can legitimize forms of, racism. Since culture is dynamic and can be taught and learned, it can facilitate the adaptation of humans to different physical environments and changes in environmental conditions. In this way, culture acts as a supplement to evolution. Cultural relativism posits that cultures are to be considered as bounded wholes and have to be understood in their own terms. Cultures are not better or worse than each other, just different. Recent research suggests that culture can influence human evolution. When studying culture, it is important to bear in mind that the notion of culture can have multiple levels of meaning, or, in other words, levels of abstraction. symbol: Any object, typically material, which is meant to represent another (usually abstract), even if there is no meaningful relationship. During the Romantic Era, scholars in Germany, especially those concerned with nationalism, developed a more inclusive notion of culture as a worldview. That is, each ethnic group is characterized by a distinct and incommensurable worldview. Although more inclusive, this approach to culture still allowes for distinctions between civilized and primitive, or tribal, cultures. By the late 19th century, anthropologists changed the concept of culture to include a wider variety of societies. This resulted in the concept of culture as objects and symbols; the meaning given to those objects and symbols; and the norms, values, and beliefs that pervade social life. This new perspective removed the evaluative element of the concept of culture, and instead proposed distinctions rather than rankings between different cultures. For instance, the high culture of elites is now contrasted with popular or pop culture. In this sense, high culture no longer refers to the idea of being cultured, as all people are cultured. High culture simply refers to the objects, symbols, norms, values, and beliefs of a particular group of people; popular culture refers to the same. Most social scientists today reject the cultured vs. uncultured concept of culture. Instead, social scientists accept and advocate the definition of culture outlined above as being the “nurture” component of human social life. Social scientists recognize that non-elites are as cultured as elites, and that non-Westerners are just as civilized; they simply have a different culture. 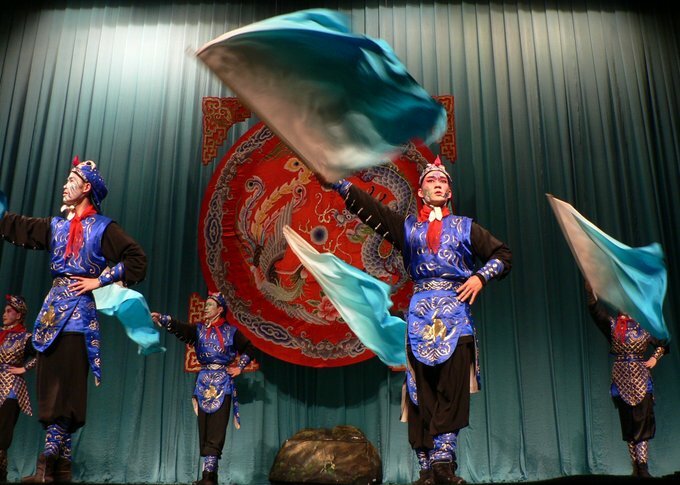 The Developing Idea of Culture: Chinese Opera is a culture tradition quite distinct from European Opera. The understanding of culture as a symbolic system with adaptive functions that vary from place to place led anthropologists to define different cultures by distinct patterns or structures of enduring, conventional sets of meaning. These took concrete form in a variety of artifacts, both symbolic, such as myths and rituals, and material, including tools, the design of housing, and the planning of villages. Anthropologists distinguish between material culture and symbolic culture, not only because each reflects different kinds of human activity, but also because each constitutes different kinds of data that require different methodologies to study. This view of culture, which came to dominate anthropology between World War I and World War II, implies that each culture is bounded and has to be understood as a whole, on its own terms. The result is a belief in cultural relativism, which suggests that there are no “better” or “worse” cultures, just different cultures. Biology and nature are deeply connected and share a complex relationship. Early studies of this relationship revealed that culture is actually a product of biology. More recent research, however, suggests that human culture has reversed this particular causal direction and, culture can actually influence human evolution. One well-known example of this is the rapid spread of a gene that produces a protein that allows humans to digest lactose. This adaptation spread quickly in Europe around 4,000 BCE with the domestication of mammals and the consumption of animal milk by humans. Prior to this adaptation, this gene was switched off after children were weaned. Thus, the change in culture (drinking milk from other mammals) eventually led to changes in human genetics. Genetics, therefore, resulted in culture, which is now affecting genetics. Another important element in the understanding of culture is level of abstraction. Culture ranges from the concrete, cultural object (e.g., the understanding of a work of art) to micro-level interpersonal interactions (e.g., the socialization of a child by his/her parents) to a macro-level influence on entire societies (e.g., the Puritanical roots of the U.S. that can be used to justify the exportation of democracy, as was the case with the Iraq War). When trying to understand the concept of culture, it is important to remember that the concept can have multiple levels of meaning.